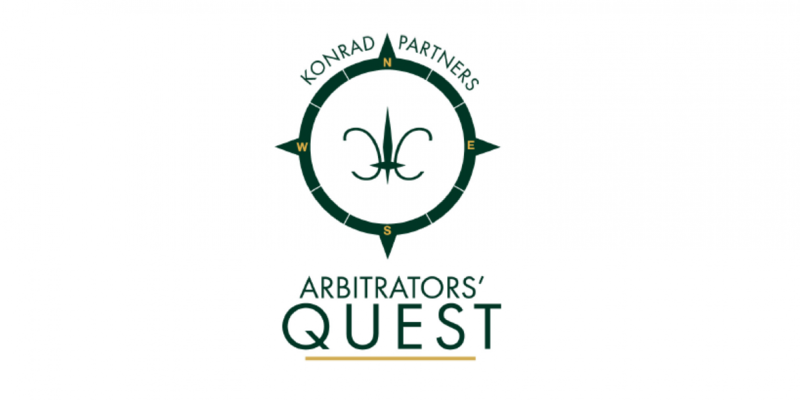 Konrad & Partners is pleased to announce the organization of the 5th edition of its “Arbitrators’ Quest – Konrad & Partners´ Moot Court”, which will take place in Vienna on 24 May 2019. The Arbitrators’ Quest is an annual Moot Court competition where participants compete in a mock trial setting before lawyers from the Konrad & Partners’ International Arbitration Practice Group. The competition is open to students, graduates and young professionals with an interest in international arbitration. They will invite the finalists to participate in a simulated hearing at our offices in Vienna and cover their accommodation expenses. The prize for the winner is a paid two-month internship with our International Arbitration Practice Group in Vienna. International arbitration is a specialized field of law that requires not only expert knowledge but a mastery of written and oral advocacy skills. By participating in the Moot, you will have a unique opportunity to gain firsthand practical experience in situations and matters typically arising in international arbitration disputes, with the help of our experienced arbitration practitioners. They will select the top ten participants based on their written applications, which are due by 28 February 2019. In March 2019, selected candidates will be notified and provided with a case file with instructions. Participants will be expected to prepare a written memorandum in support of a pre-assigned party to the dispute. They expect you to be reasonably familiar with general arbitration procedures. Konrad & Partners will award the winner with a paid two-month internship in Vienna as well as the costs for his or her accommodation. – An academic paper on the topic of Subject-matter arbitrability.